Welcome to the homepage of the Nassau County Police Superior Officers Association. 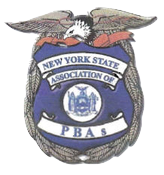 The SOA, certified in 1974, is the collective bargaining unit for all sworn members of the Nassau County Police Department from the rank of Sergeant up to and including Assistant Chief. Members are invited to log-in to access information. Our phone number, mailing address, and email are listed below. Copyright © 2017 NCPD SOA, Powered by Parse Media. All Rights Reserved.